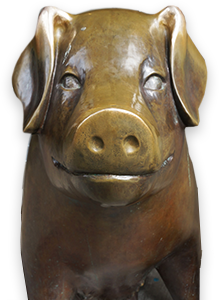 On Thursday, May 17th we celebrated our tradition of emptying our bronze piggy banks and granted more than $1,187,200 to our serve partners in the Market community. This brings our lifetime of grants since 1982 to more than $30 Million! Pike Place Market is so much more than incredible fish and flowers! 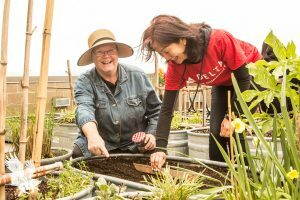 Among more than 500 merchants and 15 million shoppers, are our neighbors who visited the Market 170,259 last year times to access a community of services. 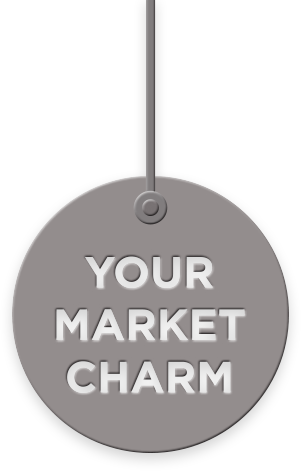 Check out our newest video to learn more about the impact of your donations in the Market community. We are here to burst your bubble about Pike Place Market. 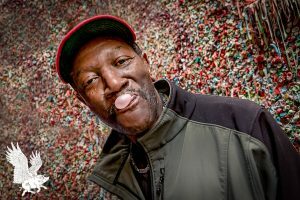 Here’s a familiar scene at one of the Market’s top attractions – the notorious Gum Wall in Post Alley. 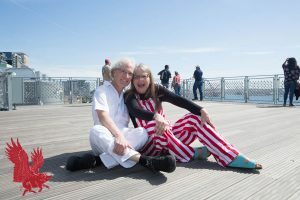 But unlike every ooey-gooey photo you’ve ever seen of visitors popping, stretching and sticking gum, this photo captures Nancy and Robert, two members of the Pike Market Senior Center. Like the other 1282 members, Nancy and Robert walk past the Gum Wall on their way to the Senior Center every day to enjoy a nourishing meal, attend dance class and be part of a community. 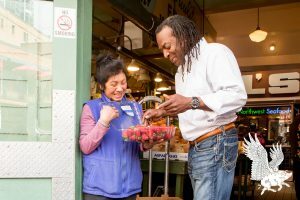 While you shop for the juiciest piece of fruit at a Pike Place Market produce stand, our volunteer Walter from Pike Market Food Bank is carting away boxes of slightly imperfect, yet perfectly delicious and nutritious fruits and veggies. 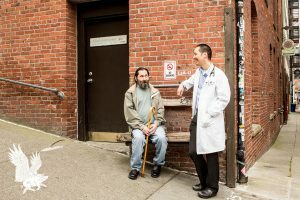 Forty years ago a group of downtown volunteers setup a medical clinic in the back of tavern in Pike Place Market. 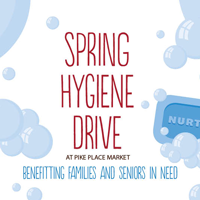 Today it’s evolved into Neighborcare Health at Pike Place Market, a comprehensive clinic and downtown hub for all kinds of patients to access comprehensive healthcare, especially those who are uninsured, low-income and homeless. 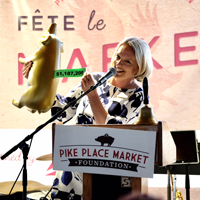 Day 4 – Puppies at the Market Commons! 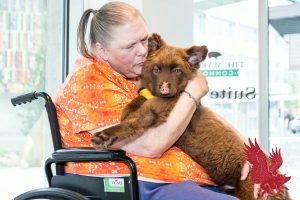 When The Market Commons opened its doors in September, we couldn’t have dreamed of all the love and puppy hugs that would be happening inside of our newest community gathering space in the Market. 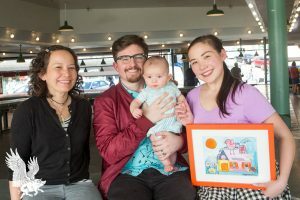 Past flying fish, and tucked away behind the butcher and the tea shop is a secret garden at Pike Place Market? You bet! Gabrielle (right) is an activist, a performing artist, and a nonprofit arts employee in Seattle. Most importantly, she was once a Pike Place Market kid. 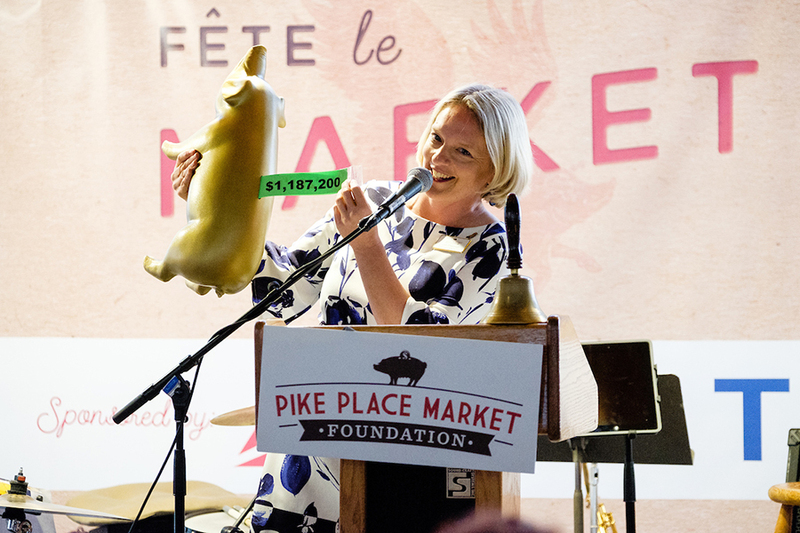 On Day 7 of our journey through the Pike Place Market community, we learn about Austin and Mary Watson, faithful Pike Place volunteers and donors who first dated at the Market.